In today’s fast-paced world, communication is of utmost importance and has become a necessity. Mobile Broadband offers you high-speed Internet access on the go, which means it lets you go online no matter what your location is and regardless of the time of the day. Mobile broadband refers to a mobile phone line registered to you which gets a 3G or 4G signal from a mobile phone network. Security is usually very good, and the service can be accessed via a netbook fitted with a USB “dongle” (or modem) – just plug the dongle into your computer, and you can be online in minutes. This service has set people free from being confined to their computer tables. Its ability to allow a person to gain access to the web through a smartphone is the greatest factor that makes mobile devices the most popular product in the world in the present generation. A service like this is perfect when you are on the move but can also act as a backup to your home or business broadband connection. For students or anyone without one primary fixed address, it is often ideal, especially as “pay-as-you-go” versions are now widely available. With this service, you don’t have to take around a lot of gadgets with you. Even if you have your laptop and mobile, you can do all your work – online or offline. This is because, with your cell phone and its broadband, you can connect the mobile to a computer and use mobile’s broadband on your computer as well, by making your mobile as a modem. Many individuals need broadband access even if they are out of their homes or offices. A lot of people in the business world need to provide their main offices with updates about special assignments. News writers, bloggers, and journalists need to break the real-time news to the world – and all of them want to be the first to do it. But how can they ever be the first to deliver their goods without the incredible power of mobile broadband? People who are looking to buy handheld devices are no longer confined to use them solely for text messaging and phone conversations. A majority buy new smartphones because they want to access the web with their mobile phones wherever they are. A lot of people even abandon their old units to purchase new ones that are Internet or Wi-Fi ready. The concept of integrating mobile and broadband technology is indeed the work of a great mind. Mobile-Broadband is also known as Wireless Wide Area Network. As long as there is a signal on your mobile, you can be sure that you are going to get good coverage of mobile broadband. Upon starting a contract, you don’t have to pay any excessive fees for connections and can enjoy your mobile broadband by paying only when you use the Internet. Also, there are a lot of options and facilities that mobile broadband offers and the standard broadband doesn’t. The installation of mobile broadband is hassle free, and as soon as you plug your mobile into your computer, the software for connecting to the Internet is installed automatically. This saves you from carrying around additional software and hardware. The introduction of mobile broadband is proof of a technology that’s steadily growing. People who embrace this advancement are rewarded with updates of a continuously improving system. 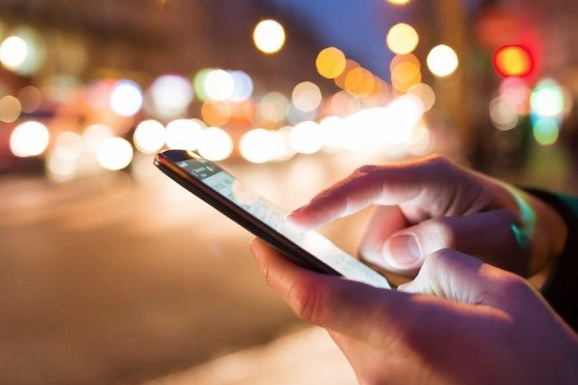 This will allow users to take advantage of new systems that are intended to make mobile broadband fast, efficient, and reliable as a personal or business tool. In the UK, if you have mobile broadband, then you don’t need a room for surfing the Internet or a computer for that matter. There are no hotspots required, and the mobile-broadband can be accessed through the mobile phone network, which is mostly 3G and 4G. Network providers are now up to some serious business, with the aim of providing some excellent speeds to their customers and to increase their presence in the market. Leading network provider O2 is the first one to take the initiative and plans to hit the UK market very soon with the 5G broadband. And there is no denying the fact that this improved technology will act as a head-turner for other network providers and will make them soon to come out with a similar or better service. The common drawback mobile broadband users face is that many times the proper connection is not available; this may be due to the absence of good connectivity for some locations or due to the overcrowding of users making the connectivity slow. Another limitation of mobile broadband usage is that the bandwidths available may not be suitable for high internet users. As many service providers charge on per MB basis of usage the costs may rise considerably unless proper restrictions on usage are maintained. There aren’t many providers to choose from. It cannot take heavy loads, and the download limit also proves to be a negative aspect. Take a look at broadbandcompareuk.com too see the best broadband deals available in your area.